Instead of griping about the cold weather (which is one of our favorite weekday-morning activities), we’ve decided to turn our attention to the best part of the fall and winter seasons: outerwear. 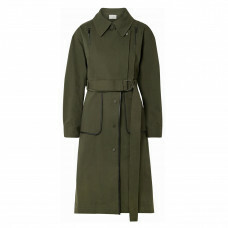 Specifically, the coats we’ve been eyeing since September and have finally (hopefully?) budgeted for and added to our seasonal wardrobes. If you’re in an urban setting, you already know that whatever you buy this year has to withstand your daily commute to the train without sacrificing an ounce of style. It’s a tricky combination, but luckily we’ve polled the Coveteur team and found the 21 best coats on the market right now. Be prepared—it’s impossible to choose just one. 1. Veda Sharpe Leather Puffer Coat: The puffer is the *It* coat of the season, and given that it’s seriously freezing outside, I could not be more grateful. I’ve been searching for a more upscale version, and as soon as I laid eyes on this leather style from Veda, my heart stopped. It’s a must-have. 2. 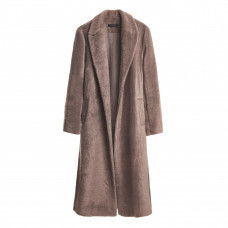 The Frankie Shop Pebble Furry Wrap Coat: I’ve never been able to find a long wrap coat that is both stylish and warm, but I think we have a winner with this furry cutie from The Frankie Shop. The dusty mauve color will work with every single thing in my closet, so it’s a perfectly sound investment. 3. 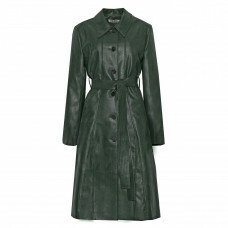 Pixie Market Hunter Green Leather Trench: Wow, I didn’t think I’d ever lust after a trench coat, but this stunner changed all of that for me. It’s on a wait list right now, but I’ve checked back every afternoon to snag it. Join me, won’t you? 1. 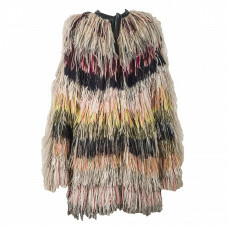 Alessandra Petersen Fringe Coat: I can wear the most muted outfit and still stand out with this coat. I love the material and the use of different colors. This one is *definitely* going to keep me warm all winter. 2. Free People Lilac Puffer: Puffer coats are having a moment again, and I love this lilac color! 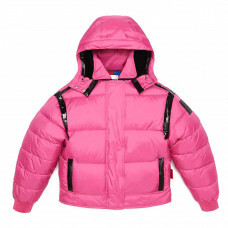 Plus, the coat is super lightweight and doesn’t feel puffy to the point where you transform into a living marshmallow. This one is a solid A+. 3. 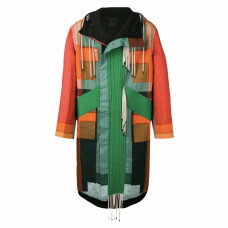 Silvia Tcherassi Contrast Panel Coat: Let me start off by saying that I’m obsessed with Silvia Tcherassi anything, so I’m definitely biased when I say this coat is *everything*. I’m a fan of contrast, and this coat really stands out by itself. It’s super lightweight too, so perfect for a chilly (not freezing) winter day. 1. Biannual Cocoon Puffer: I tend to default to all-black in the winter because it’s the easiest way to look polished when I’m frozen to the core and my mind is too numb to put together a more colorful look. 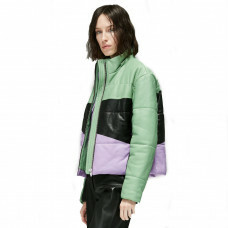 While I don’t see myself emerging from the house looking like a rainbow, I can envision zipping this perfect fuchsia puffer up over my all-black outfit and being the envy of everyone I walk by. 2. Soia & Kyo Rubina Relaxed Fit Embossed Wool Jacket: You know what I was the one winter I exclusively wore a Soia & Kyo coat? Warm—very, very warm. The brand is best known for their puffers, but I’m really drawn to this understated wool style, which is a great goes-with-everything coat. 3. The Arrivals Moya III: I’ve wanted this coat for ages and have tried it on at least a dozen times. (Spoiler: it’s perfect.) Perhaps this will be the winter I finally budget for it. 1. House of Sunny Reptile Upscale Coat: I’ve been seeing this coat all over my Instagram feed, and now, consequently, it is the apple of my eye. The texture is so luscious and goes completely against my black-wool-coat status quo. 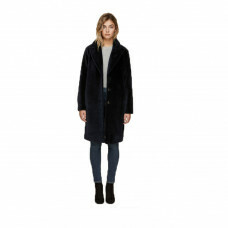 The faux fur collar is detachable too, which makes for the perfect transitional piece. 2. 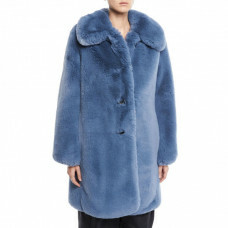 Marc Jacobs Chubby Plush Coat with Collar: I firmly believe that fur coats can be worn for any and all occasions, which only has me daydreaming about this Marc Jacobs pick. The blue little number screams warm ’n’ cozy, but definitely chic for the streets. Catch me at your local bodega in this coat buying an iced coffee. 3. 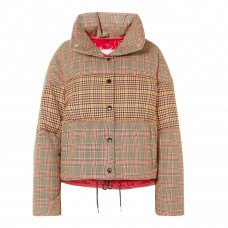 Moncler Paneled Checked Quilted Wool-Blend Down Jacket: If I were to ever join the puffer nation, I would definitely go for this plaid paneled coat from Moncler. It’s trendy yet classic, mixing the official pattern of fall with the most of-the-moment style right now. 1. 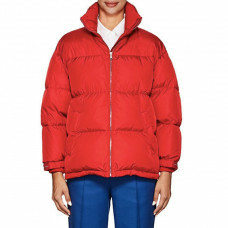 Prada Cropped Quilted Shell Down Jacket: Between the zipper and the wrap closure options, and the long ribbed sleeves that can be worn pushed up or pulled down, this is essentially four Prada puffer jackets in one, making it the most affordable four Prada coats I will ever buy. 2. 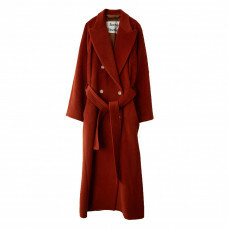 Acne Studios Wool Blend Coat in Rust Orange: I consider this burnt autumnal hue a neutral that will blend in perfectly with every color in my wardrobe, which is mostly black, navy, and moss green. And I especially love the dramatic lapels. 3. Jason Wu Convertible Leather-Trimmed Cotton-Blend Twill Coat: Even though I saved alllll that money with Prada, I’m really thankful that Jason Wu created this two-in-one convertible jacket in one of my favorite colors. The cropped moto upper becomes instantly elegant and evening-ready with the long skirt zipper on. 1. 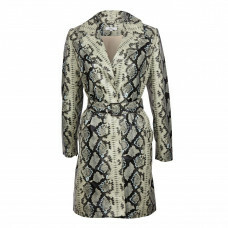 Miaou Carmen Trench: It’s safe to say that ’90s fashion trends aren’t going away anytime soon, and this python coat is all that I’ve been dreaming of and more. I’m saving it for days where I’m feeling stylish but also need waterproof protection from New York’s frantic winter weather (snow, rain, slush). 2. I.AM.GIA Pixie Coat: I’m not kidding when I say there are at least four people (other than me) at Coveteur HQ who own this furry little number. Somehow it keeps you warm on days when it’s freezing cold and doesn’t make you overheat on days where we’re blessed with a warmer forecast. 3. 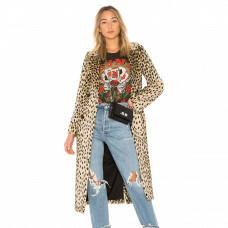 House of Harlow 1960 x Revolve Perry Faux Fur Coat: You can pair cheetah print with just about anything. Running errands? Sweatpants, sneakers, and your cheetah coat. Drinks with your friends after work? Skinny jeans, a comfy sweater, and your cheetah coat. New Year’s Eve? Sequin dress, high-heel booties, and your cheetah coat! I’m keeping this thing forever! 1. Craig Green Tent Parka Coat: This parka comes in multiple colorways, and I kid you not, I want each and every one of them. You can’t knock the incredible attention to detail that Craig Green has put into this piece. I already know it’s something I’ll have in my closet forever. 2. 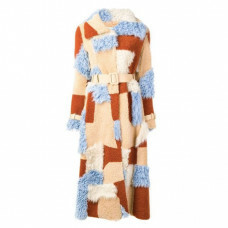 Off-White Patchwork Shearling Coat: Is this coat not the coziest thing you have ever seen? Call me extra, but I would have no problem making this my everyday go-to. 3. 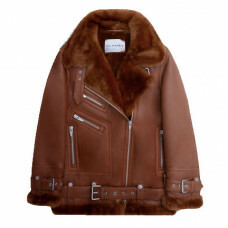 Understated Leather Easy Rider Jacket: Don’t you dare try to tell me that it’s the wrong season for leather. Layering is my main game (next to being cozy as hell), and this black leather jacket is the *perfect* piece for that. Especially because the fur collar is removable. Case in point: It would look dope under either of these other two jackets.